An AMA on Reddit surrounding the Battlefront II controversy offered no definitive answers or responses to the concerns of players, consisting mostly of vague responses from DICE developers that offered very little in the way of actually addressing the problems. John Wasilczyk, Executive Producer, Dennis Brannval, Associate Design Director, and Paul Keslin, producer, were on hand to answer questions from players today in the Battlefront II AMA. Unfortunately, as was expected, the devs skirted around revealing any solid information or committing to specifics, choosing to engage in obfuscating and blatantly vague responses. The response led to an outpouring of comments and criticisms from users who demanded to know why the Pay to Win lootbox mechanic, which severely impacts gameplay, was included if they were so concerned about balance and fairness in online multiplayer—but one that garners the company plenty of revenue and can be viewed as the single most controversial aspect of the game. Unsurprisingly, there was no answer provided. 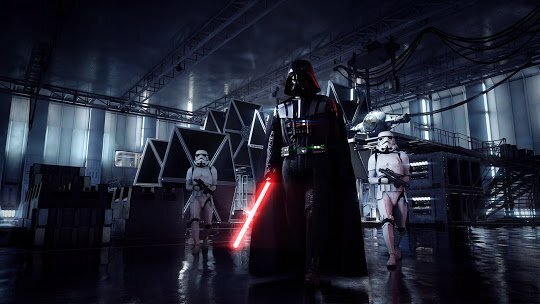 Various other questions were posed that also elicited safe, carefully constructed responses from the developers that did little to address the actual issues being presented and if anything further enflamed and enraged Reddit users and Battlefront II players. Once again, an expectedly canned and ambiguous reply that basically boils down to: we are (maybe) working on this and will (maybe, but probably not) change things to a degree players will be happy with. Brannvall didn’t exactly answer the question. Nor did he offer up an explanation of the process that led to the inclusion of Pay to Win mechanics and a broken, manipulative progression system. Instead, users were greeted with yet another response that made no direct promises or presented any concrete facts or clarification. Brannvall answered the question with surprising specificity, even using the term “microtransactions”, although the reply itself still reeked of PR damage control and did not actually offer any explanation for the inclusion of the mechanic or its blatant purpose of simply generating revenue. The AMA has now been sorted with links to each question and answer and can be viewed here. Follow CGMagazine for more updates as the storm continues.